This hardened dance bot has been updated with the latest and greatest in dance theory and training. Not taking 'No' for an answer, any mouse caught on his dance stage is forced to learn perfect dance form. Executing drill after drill, his students are mercilessly trained until they faint resulting in immediate ejection from the class. The Forgotten Art of Dance Instruction Skin can be used on The Forgotten Art of Dance. The trap's stats (power, power bonus, attraction bonus, etc.) are not changed. The Forgotten Art of Dance Instruction Skin may be made available during the annual MouseHunt Birthday event and can be traded on the Marketplace or through Give To Friends. 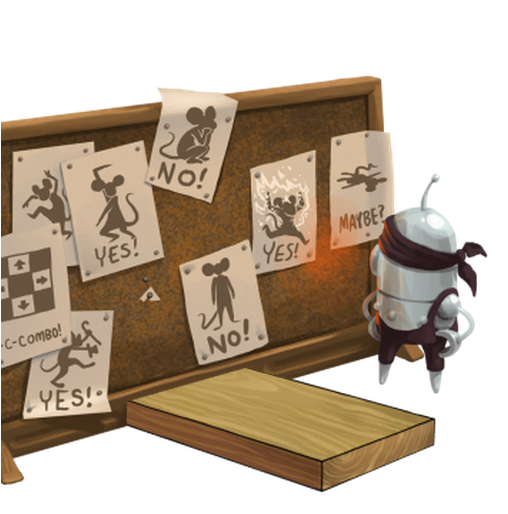 5 March 2014: The Forgotten Art of Dance Instruction Skin was released at the start of the MouseHunt's Sixth Birthday event. It was available at the Dance Hall Trapsmith for 25,000 gold, 1 Disco Ball, and 75 Party Supplies. This page was last edited on 9 December 2017, at 15:43.